I read this article and found it very interesting, thought it might be something for you. 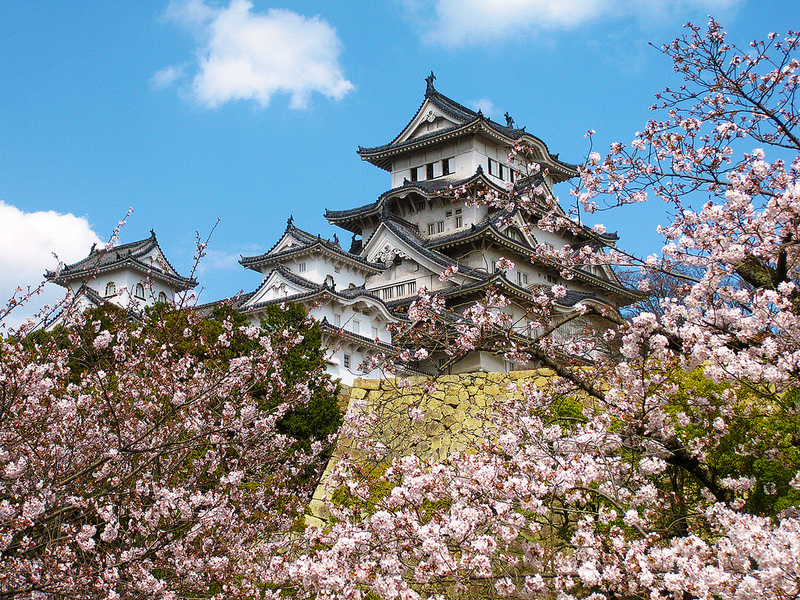 The article is called 15 Gardens You Can’t Miss in Japan and is located at http://trip-n-travel.com/listicle/8542/. 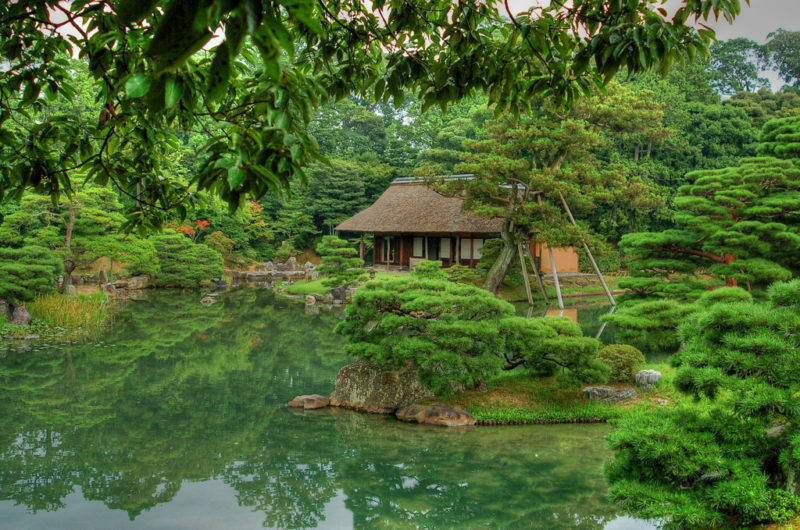 Japanese traditional gardens are a piece of art. And not only their design is brilliant, but they also give off a special atmosphere. Strolling such a garden somehow makes you feel peaceful inside and brings a smile to your face. 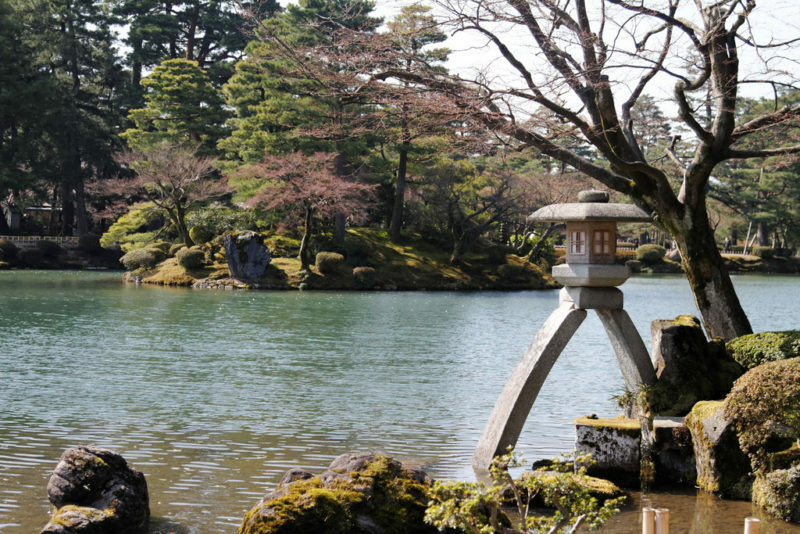 This article presents you 15 great gardens you must visit in Japan! 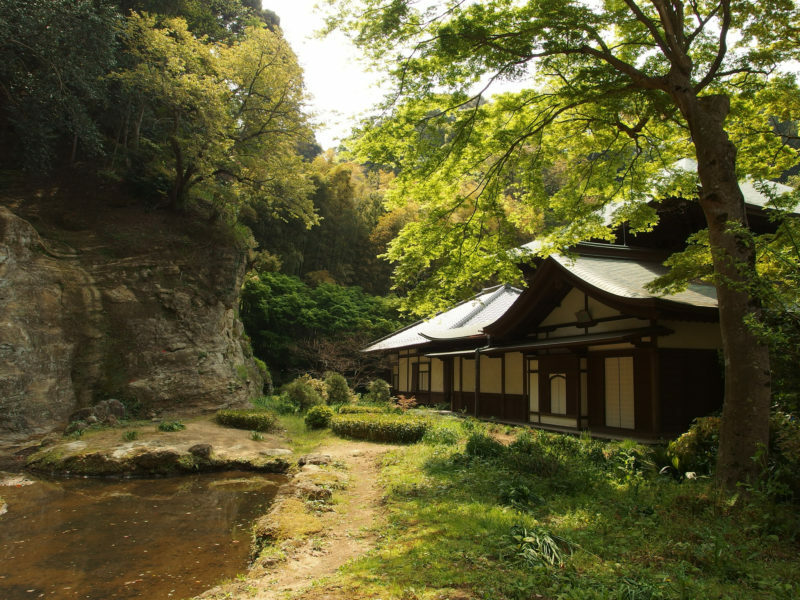 Located in Kamakura, Sankeien is a landscape garden designed by Sankei Hara, a silk trade businessman. He recreated a number of historical buildings from all over Japan, such as the main hall and the three-story pagoda from Kyoto’s Tomyoji Temple. 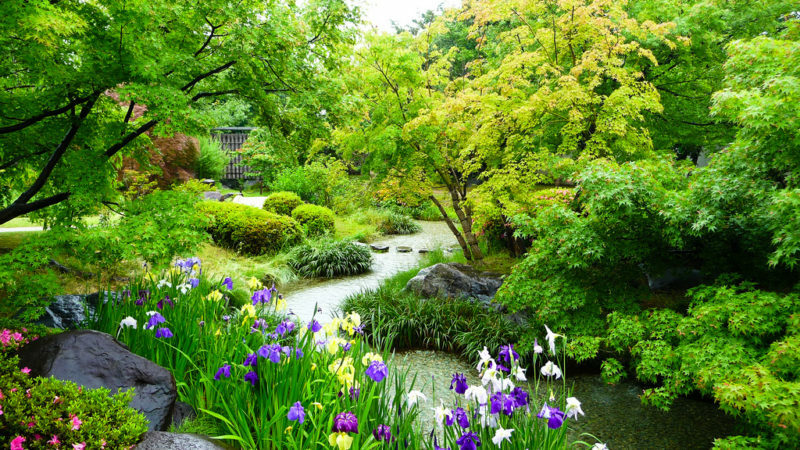 The garden includes a pond, rivers, small waterfalls, bamboo groves and many trees and flowers. The garden is a great place to enjoy seasonal beauty, like cherry blossoms and autumn colors. Byodoin is a temple in Kyoto Prefecture, Uji city. Its gardens were designated as national “Historic Site” and a “Place of Scenic Beauty”. 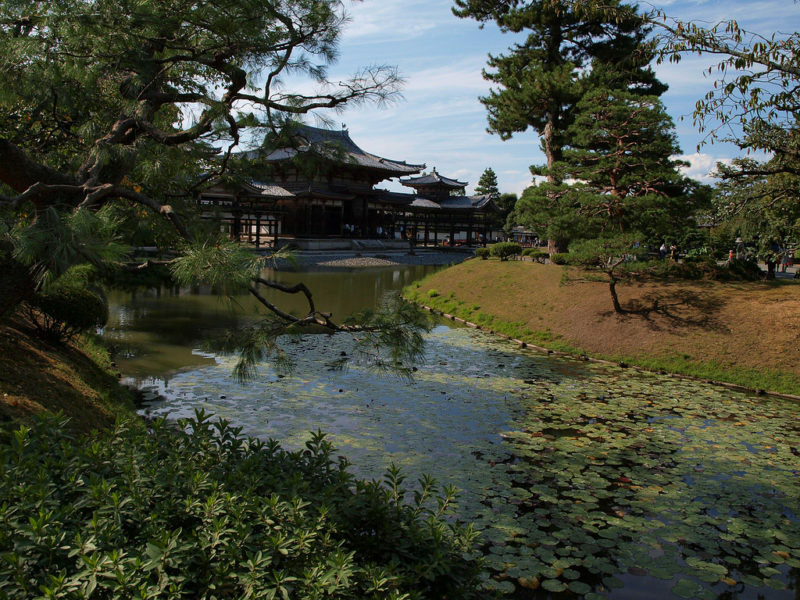 The garden follows the so-called Pure Land design, a type which was very used during the Heian period. It is now one of the few remaining gardens which use this style. 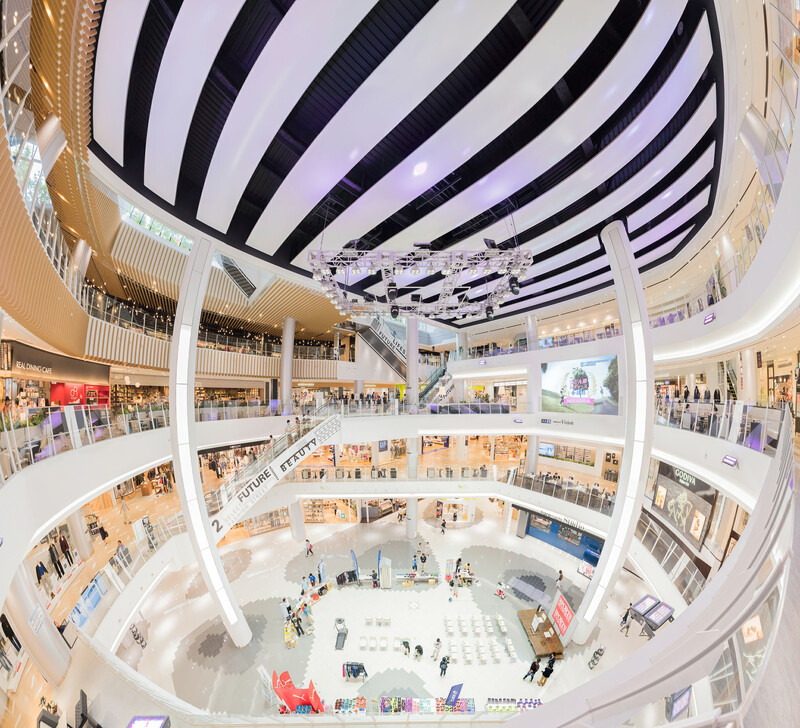 The Pure Land design is meant to resemble a Buddhist paradise, with ponds full of lotus flowers, islands and pavilions. 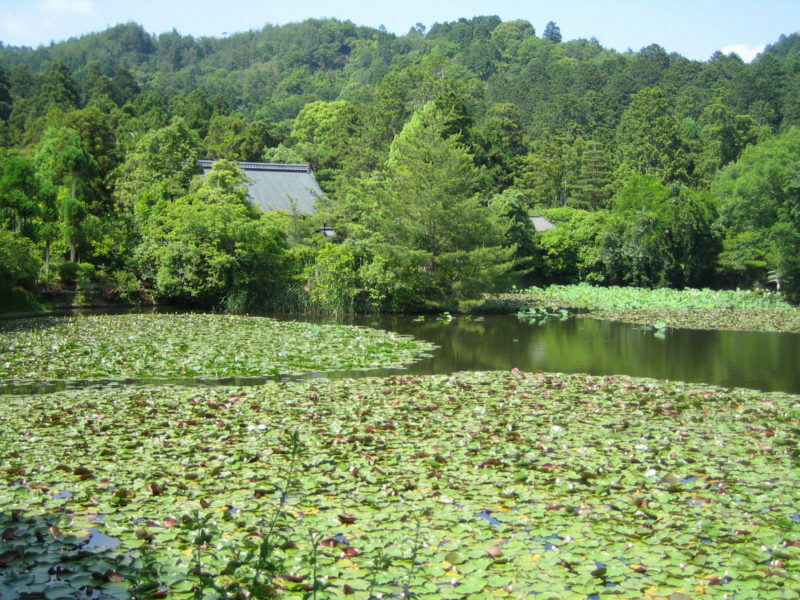 Korakuen is a beautiful garden located in Okayama. 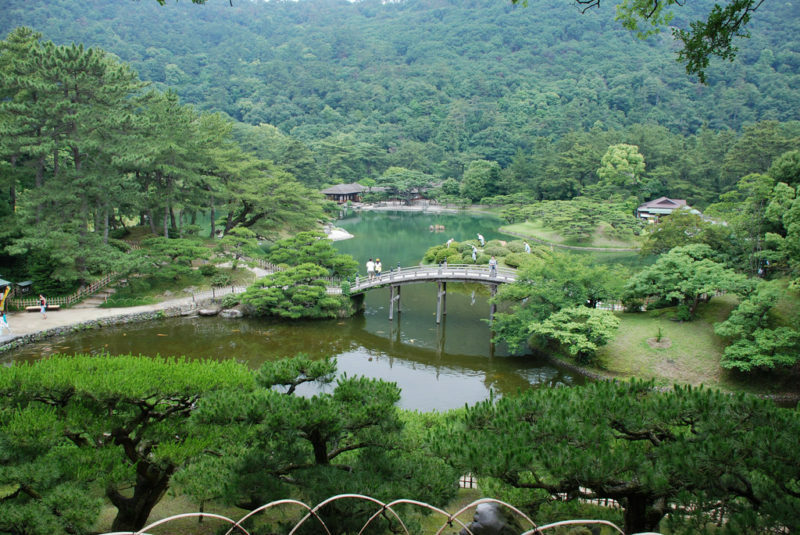 It is the city’s main attractions and is also ranked as one of Japan’s three best landscape gardens. The garden has a large pond, a hill, streams and a number of alleys. 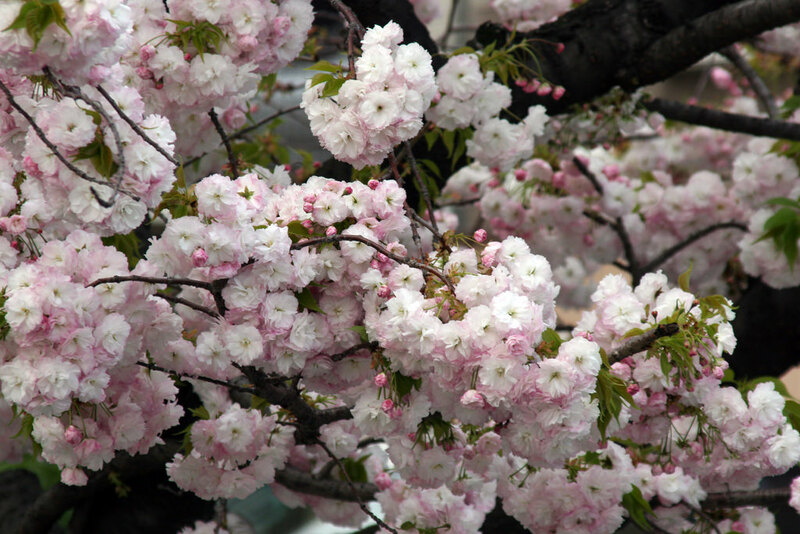 The vegetation is also spectacular, with plum, maple and cherry trees. Rice and tea fields can also be seen. The garden stands right next to Okayama castle, which makes the views even better. Daitokuji is a large temple complex in northern Kyoto. 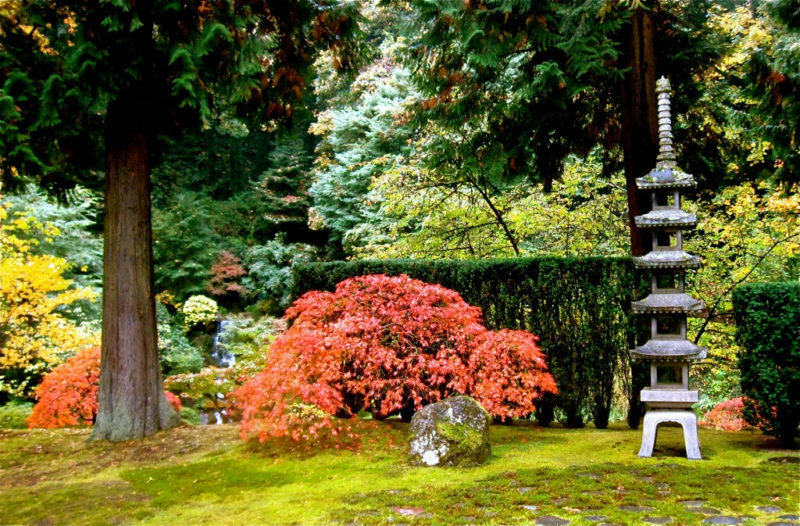 The temples have many gardens boasting different types of Zen designs. Among the most interesting gardens are the one belonging to Daisenin, which was built to represent a Chinese painting, the one that is part of Ryogenin, which features a dry landscape design and Kotoin’s one, which has many maple trees that create a spectacular sight in autumn. Ryoanji is a temple located in Kyoto which is home to one of Japan’s most famous rock garden. The garden’s design is simple, yet stunning. 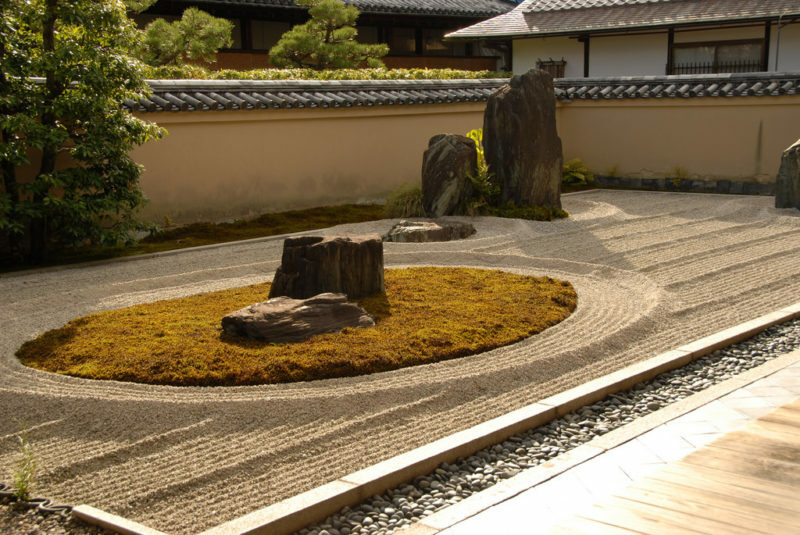 It consists of a large area covered in pebbles with 15 rocks placed on mossy patches of ground. An interesting point about the garden is that no matter the angle you look from, at least one of the 15 rocks will be hidden from your view. The garden gives off a peaceful vibe, making it the perfect place for meditation. Kokedera is a temple in Kyoto recognized as a UNESCO World Heritage Site. The temple is famous for its moss garden. The forested garden is covered in appreciatively 120 species of moss, creating a unique sight. The pond, bridges and the temple’s buildings add to the spectacular view. 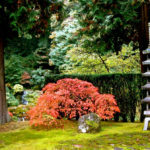 The best time to visit the garden is in autumn, when the colorful trees contrast with the green moss. Zuisenji is a temple in the east of Kamakura which has a very beautiful Zen rock garden. The garden consists of a pond with a bridge, a small island, a waterfall and a cave. It used to be full of plants, which removed in 1969 to create the current rock garden. The temple’s main hall combined with the garden creates a beautiful sight, which is the reason why the area was designated as a national “Place of Scenic Beauty”. 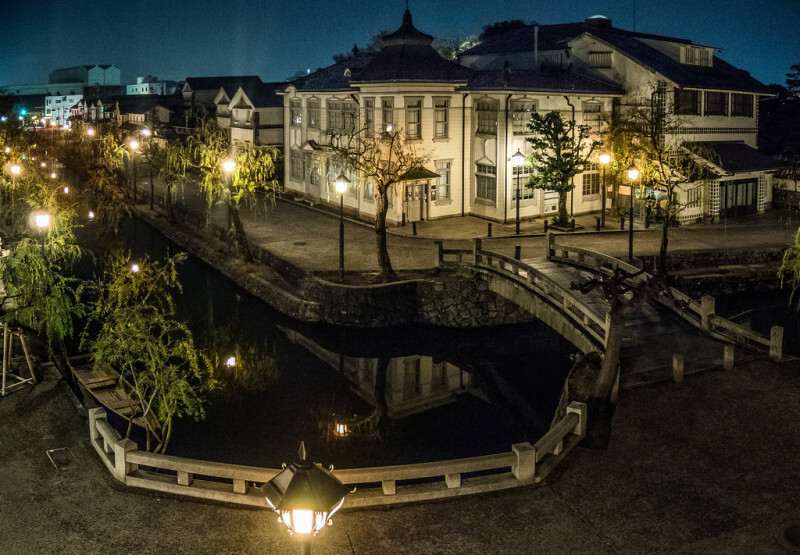 Ritusrin is a landscape garden located in Takamatsu city. It is considered one of the most beautiful gardens in Japan. It features many ponds, hills, old trees and pavilion buildings. The garden is divided into two parts: a Japanese style part in the south and a western style part in the north. Ritsurin stands at the foot of Mount Shiun which adds to the beauty of the garden. Katsura Imperial Villa was built as the residence of Katsura family which are members of the Imperial Family. 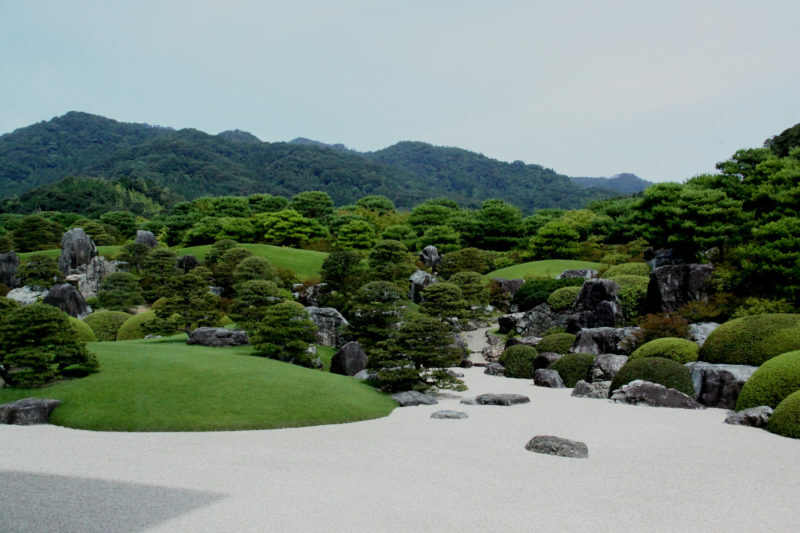 Its gardens are considered a fine example of Japanese traditional gardening. The gardens include a pond surrounded by trees and other vegetation. Several buildings can be found inside, such as teahouses. All the buildings use natural elements such as wood and bark, which adds to the atmosphere of the garden. Adachi Museum of Art was established in 1970 using the works collected by Zenko Adachi, a Japanese businessman. It is best known for its garden which is home to many beautiful trees and shrubs. Each season brings a different kind of beauty – from flowers to autumn colors. The garden can only be enjoyed from the museum building, but it’s enough to see its entire splendor. Kenrokuen is another garden considered one of Japan’s best three. Located in Kanazawa, the spacious garden features many ponds, streams, stones, waterfalls, teahouses and a variety of flowering trees. The flowers change the appearance of the surroundings every season. Autumn also brings its beauty with the maple trees turning orange, red and yellow. Some walking trails lead to higher spots of the garden where visitors can enjoy looking at everything from above. 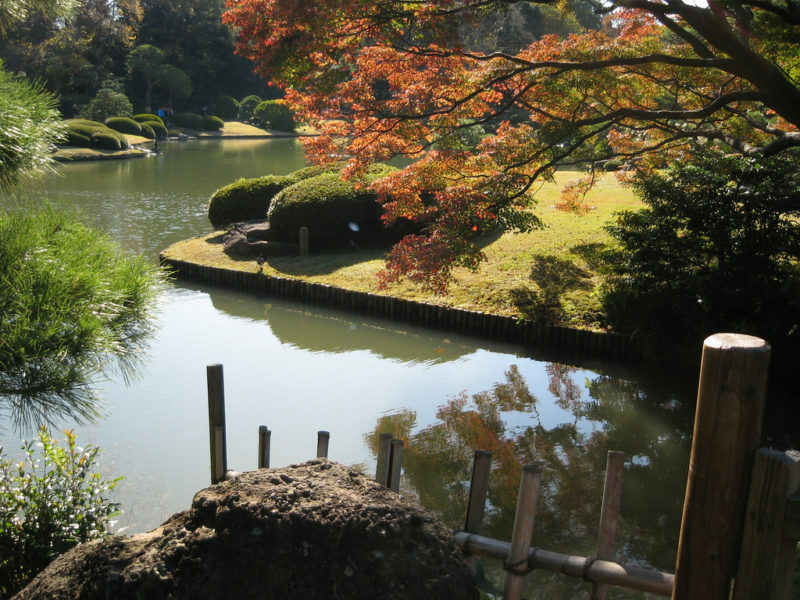 Rikugien is a landscape garden in the heart of Tokyo. 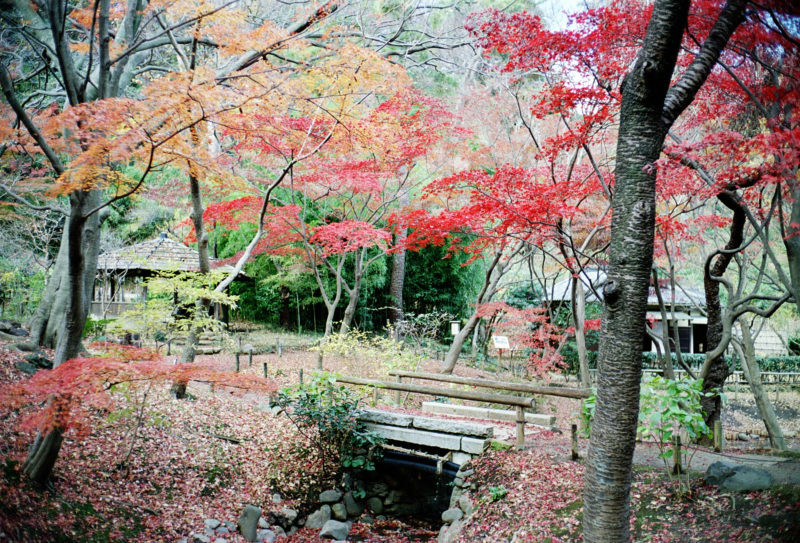 It is considered one of Tokyo’s most beautiful traditional gardens. The name “Riikugien” which means “six poems garden” was given because the garden reproduces 88 scenes from different famous Japanese poems. The spacious garden contains a small pond, a hill and several tree species. It is a very popular attraction in autumn when trees turn colorful. 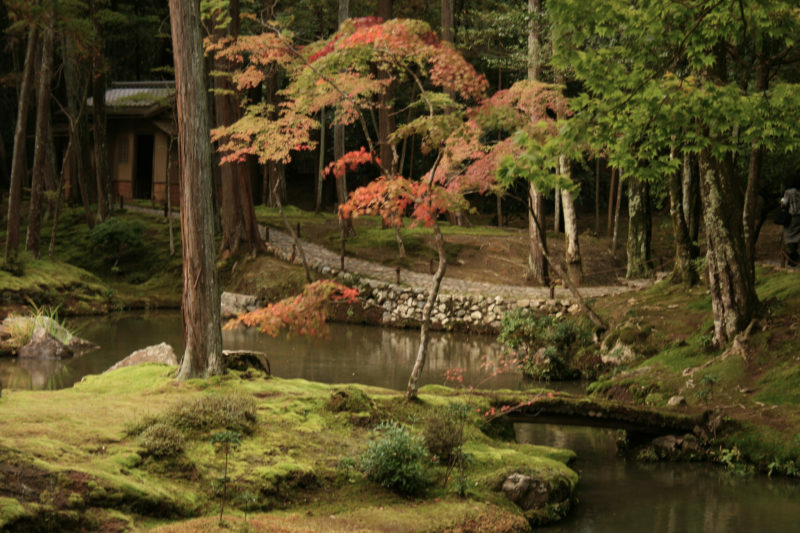 Kairakuen is the last of the three most beautiful gardens in Japan. 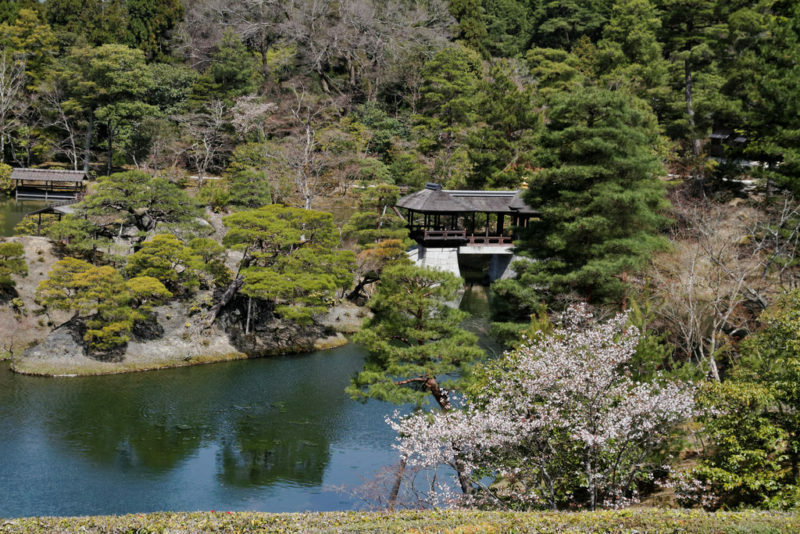 Located in Mito, the impressive garden is famous for its over 3000 plum trees. When spring comes, the plum trees transform the area into a colorful paradise. The trees are from different species and display different colors like white, pink and red. 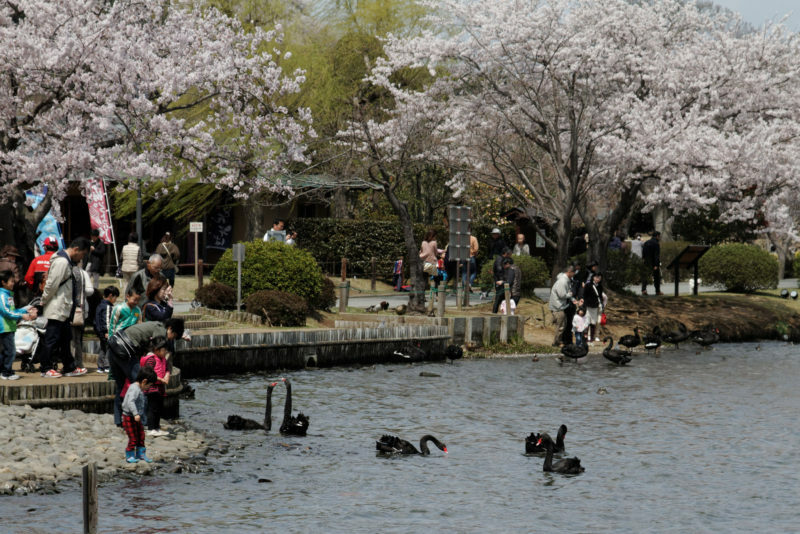 The garden is also the site of the Mito Plum Festival, which takes place from February 20 to March 31. Tenryuji is a Buddhist temple in the Arashiyama district in Kyoto. Its garden was designed by Muso Soseki which also designed the gardens for many other important temples. The garden contains a pond, rocks and pine trees. The forested valleys of Arashiayama Mountain also provide a beautiful background to the garden. 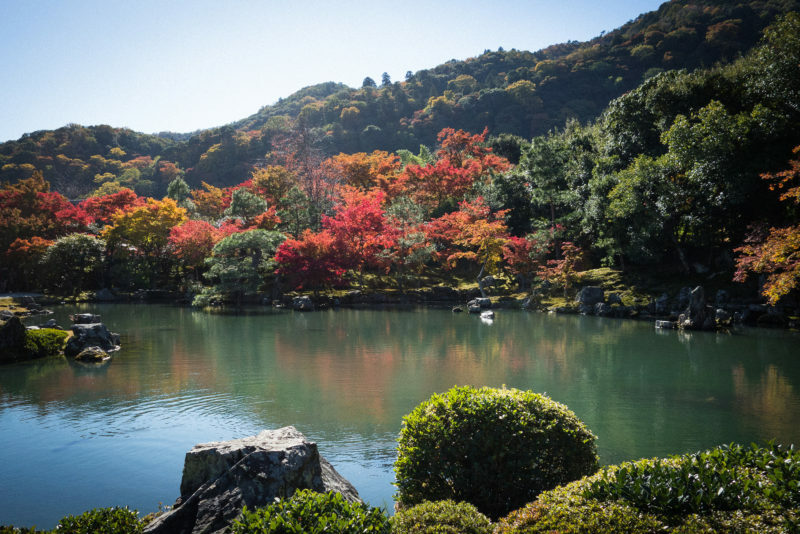 Tenryuji’s garden becomes a very popular destination during the autumn leaf viewing season. Shugakuin Rikyu Imperial Villa in Kyoto features an impressive garden. The garden consists of three parts at different elevations, with ponds, stone bridges, waterfalls, streams and islands. Kyoto’s hills create an ideal natural background for the garden, adding to the beauty. The buildings in the garden are an example of typical Japanese architecture which blends perfectly with the surroundings.